Sicily Travel Guide - Best of Sicily Tours, Vacations, Holidays, Hotels, Dining, Tourism, Culture, Books. Tablet-friendly for iPad and other devices. Wel­come to the world's fa­vorite Si­cilian web­site, with over two mil­lion read­ers each year, around 200 at this very mo­ment. Each of the fol­low­ing topics is a gate­way to many (print­able) pages. Come vis­it our sun­ny is­land. We've been ex­pect­ing you for three thou­sand years! Sights & Activities: Our ever-popu­lar list of things to see and where to see them, ev­ery­thing from an­cient Greek temples to Baroque palaces, great nat­ural sites and much more. Not a dry aca­dem­ic list of ar­cane sites, but in­ter­est­ing at­trac­tions open to the pub­lic. And things to do. Scenic Regions: Rivers, moun­tains and the cas­tles nes­tled among them. 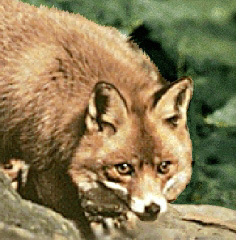 Here you'll dis­cov­er Si­cily through its nat­ural beau­ty of coasts, hills, streams and Eu­rope's great­est vol­cano. And the hin­ter­land, the "secret" Si­cily and its very real peo­ple. Food and Wine: Si­cily's de­li­cious cui­sine. Page after page ded­icat­ed to spe­cial­ties and cu­riosi­ties. 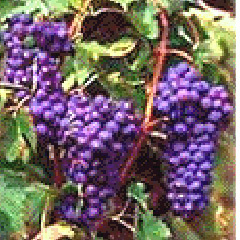 The main wine page is a vir­tual one-stop guide to our is­land's wines and liqueurs. The last two decades have seen a Si­cilian wine re­nais­sance. Taste it! History: Three thou­sand years of his­to­ry await you in Si­cily. In this pic is Archi­medes, one of many Si­cilians pro­filed on this site, be­cause be­hind the place is its peo­ple. 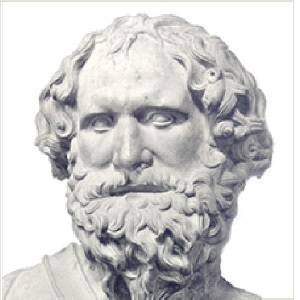 The philoso­phers, sci­en­tists, artists, poets, kings and queens. The culture. And, of course, the or­di­nary folk. 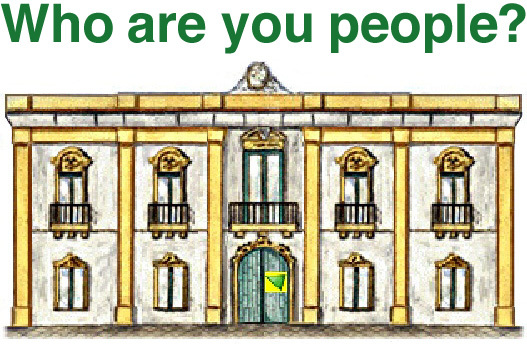 Sicilian Identity: The world's most con­quered is­land boasts a magi­cal lega­cy. 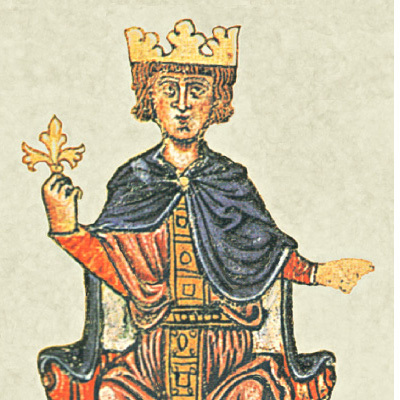 Frederick II (shown) was one of Eu­rope's great­est me­dieval mon­archs. 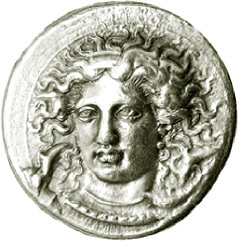 Much of this site is dedi­cat­ed to what makes Si­ci­ly unique. Since it's per­son­al, there's a sec­tion on genealogy for fam­ily his­tory re­search­ers. Si­cily even has its own language. » Why Si­cily? 12 cul­tures in 1. » Top 12 destina­tions in Si­cily. » Sights to see, things to do. » Scenic Places & ge­og­ra­phy. » Tours of Si­cily & more. » Hotels and other lodg­ing. » Travel Faqs with real in­fo. » Sicily Air­ports - get­ting there. » Travel Ideas for your visit. » Sicily Maps - roads & cities. » Sicily Weather fore­casts, temps. » Beaches in Sicily - a selection. » Travel Services. Some­thing dif­ferent. » Student Tours of Sicily - discovery. » Palermo - guide to the city. » Villas in Sicily & how to find one. » Golf courses & resorts. » Tour Guides listed by locality. » Sicily for Children. For families! » Young Students. Study resources. » Cooking Classes around Si­cily. » Travel Guide Books reviewed. 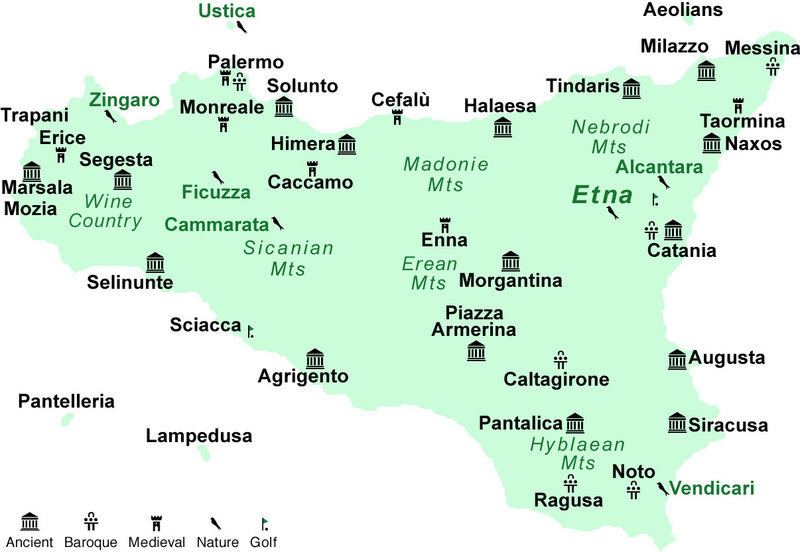 » Sicilian Genealogy. Family history. » Travel Agent Resources and ad­vice. » Sicily Facts and figures. » Sicilian Culture - all things Si­cilian. » Sicilian Literature - then and now. » Arts and Artists. Creativity. » Sicilian Identity - ethnic legacy. » Religions of Sicily. Faiths. » Peoples of Sicily. Meet the peoples! » Invisible Sicily - the unseen. » Sicilian - language of a people. Sicily Concierge: Per­son­al­ized trav­el, ex­cur­sions, tours of Si­cily, events, student tours in Sicily, con­fer­ences in Sicily, the popu­lar Peoples of Sicily tours and much more, from a trav­el agen­cy based in Si­ci­ly. Family history tours too. Real ser­vice from a real tour op­er­ator. • Golden Sicily. A fa­vorite, with al­most week­ly de­par­tures all year. • Tours of Sicily with de­par­tures al­most ev­ery week of the year. • Shore Excursions from Palermo - pri­vate shore trips in west­ern Si­cily: Mon­reale, Pa­lermo, Erice, Se­gesta, Cef­alù. • Day Tours from Palermo - reg­ularly-scheduled with fre­quent de­par­tures: Erice-Segesta, Agri­gento, Mon­reale, Piaz­za Armer­ina, Pa­lermo cook­ing classes. • Shore Excursions from Messina - private shore trips in eastern Si­cily: Taor­mina, Etna, Mes­sina, win­ery visits. 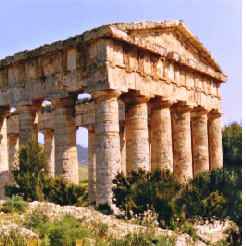 • Tours of Italy including Sicily - the penin­su­la plus Si­cily. 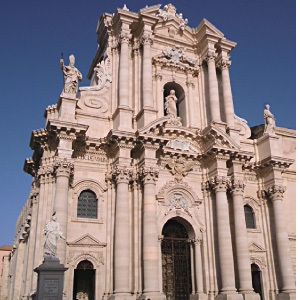 • Day Tours from Siracusa - private ex­cur­sions, food & wine ex­pe­ri­ences, Taor­mina and more. • Private Tours around Sicily - pre-planned pri­vate tours, from 4 to 11 days. • Private Excursions from Catania - win­eries, Taor­mina, Sira­cusa and more. • SICILY Search the entire island. • Agrigento Ancient Greek temples. • Catania Sicily's bustling second city. • Marsala Sicily's wine country. • Messina Underrated but interesting. • Noto Baroque splendor in scenic hills. • Ragusa Baroque and charming. • Siracusa Ancient Greek capital. • Taormina Delightful hilltop resort town. • Trapani Near Erice and Segesta. 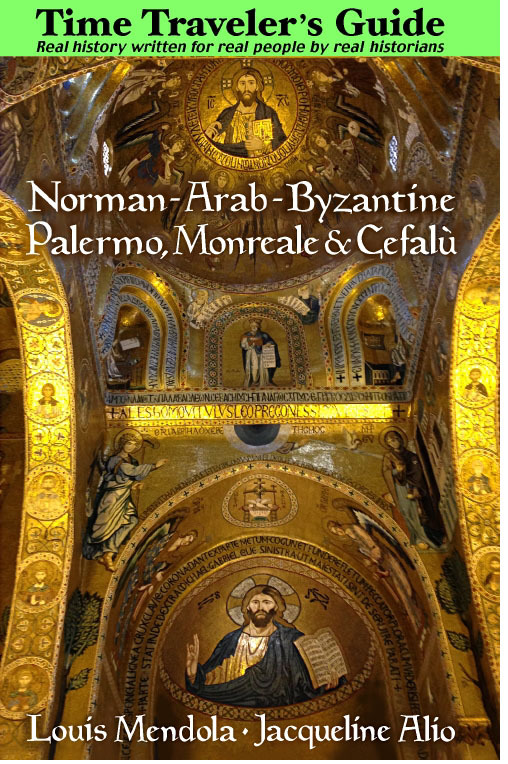 Time Trav­el­er's Guide to Nor­man Arab Byz­an­tine Pa­ler­mo, Mon­reale & Cef­alù. Per­fect if you're trav­el­ing in­de­pen­dent­ly and not with a tour group. From Ama­zon US, Ama­zon UK, Ama­zon CA, Barnes & No­ble, BAM!, Water­stones, Indigo, Fish Pond and other ven­dors. Pa­ler­mo: Lib­rer­ia del Cor­so. Mon­reale: Cathe­dral Book­shop. From our resi­dent his­to­ri­ans, a new wave of books about Si­ci­ly, each a first! The Peoples of Si­cily: The first over­view of all the civ­iliza­tions that pop­ulat­ed our is­land. 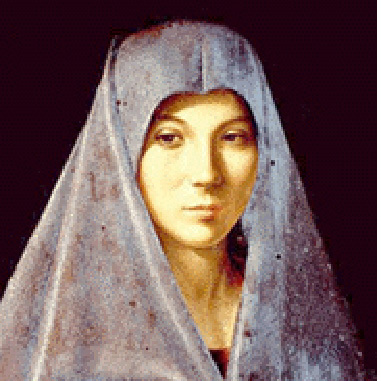 Women of Sicily: The first book on the his­tor­ical women of Si­cily writ­ten in En­glish by a Si­cilian wom­an in Si­cily. The King­dom of Sicily: The first com­plete his­tory of the King­dom of Si­cily over its seven cen­turies. Sicilian Food & Wine: The first guide of its kind pub­lished in En­glish. 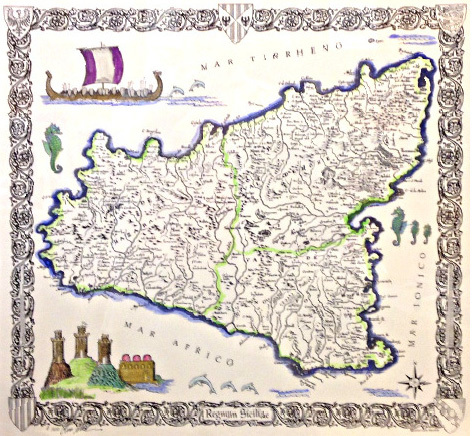 Sicilian Genealogy: The first guide to Si­cilian fam­ily his­tory re­search. Margaret, Queen of Si­cily: The first biog­raphy of this me­dieval queen. 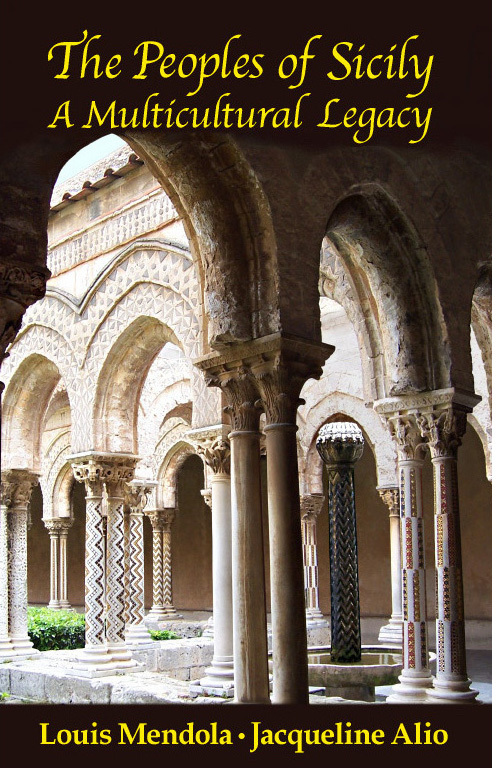 Sicilian Studies: The first En­glish guide to the study of Sicily's his­to­ry and cul­ture. The Vine Whisperer: Mak­ing wine and doing busi­ness in Si­cily. Limited Edi­tion Map of Si­cily. Print is­sued with the pub­lica­tion of Men­dola's King­dom of Si­cily. Signed, num­bered, paint­ed, mea­sur­ing 53x58 cm (21x23 in), bear­ing me­die­val her­al­dic mo­tifs. €180. Ex­clu­sive­ly from Lib­reria del Cor­so book shop, Via Vit­torio Emanuele 332 (be­tween Quat­tro Can­ti and Piaz­za Bolo­gni), in Pa­ler­mo. We are Si­cil­ians. But this site is not about its au­thors' egos, ce­leb­ri­ty or fame. It's about Si­cily and your dis­cov­ery of our is­land. This is an in­de­pen­dent pub­li­ca­tion with an of­fice housed in a his­toric palace in Pa­ler­mo's Kalsa dis­trict. On­line since 1999, Best of Si­cily pre­sents ac­cu­rate in­forma­tion about Si­cily. We pro­mote tours and trav­el in Si­cily, as well as books about our is­land's his­to­ry, peo­ple and cul­ture. We are not af­fil­iat­ed with any pub­lic agen­cy or trav­el bu­reau. Opin­ions ex­pres­sed on the site are not neces­sari­ly those of the edi­tors. The mate­rial on this web­site is orig­inal. While every at­tempt has been made to en­sure the ac­curacy of in­forma­tion pre­sented here, the pub­lish­ers are not liable for any errors. 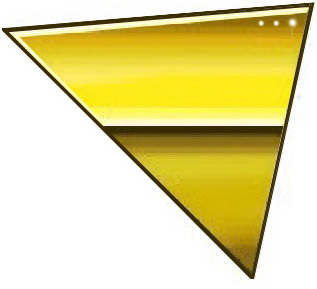 Best viewed with Microsoft Explorer, Mozilla Firefox, Google Chrome or Macintosh Safari. Tablet-friendly for iPad and similar devices.